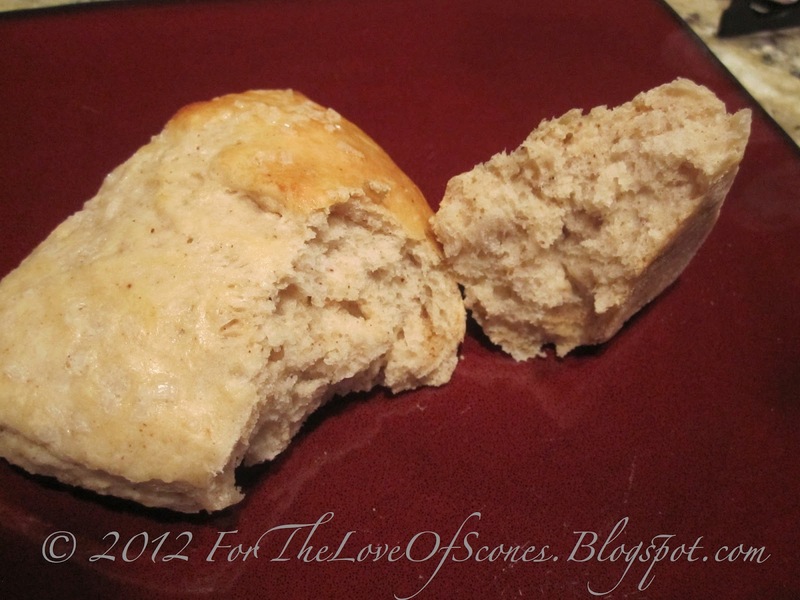 I love sourdough bread, so when I stumbled across this recipe for Sourdough Scones, I just had to give it a try. Especially since I had just started experimenting with my own sourdough starter. Preheat an oven to 400 degrees F (200 degrees C). Line a baking sheet with parchment paper. 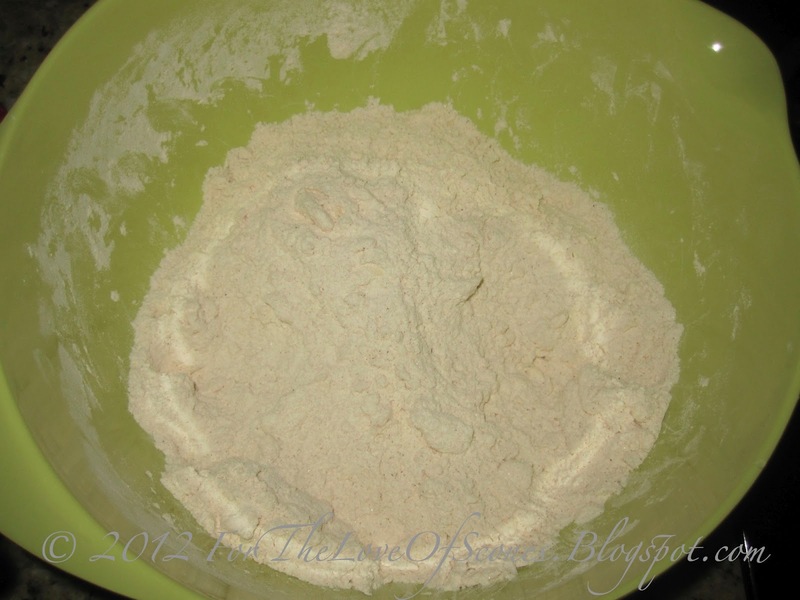 Whisk together the flour, salt, cream of tartar, baking soda, sugar, and apple pie spice in a mixing bowl. Cut in the butter with a knife or pastry blender until the mixture resembles coarse crumbs. Add the sourdough starter and mix by hand to form a soft dough. 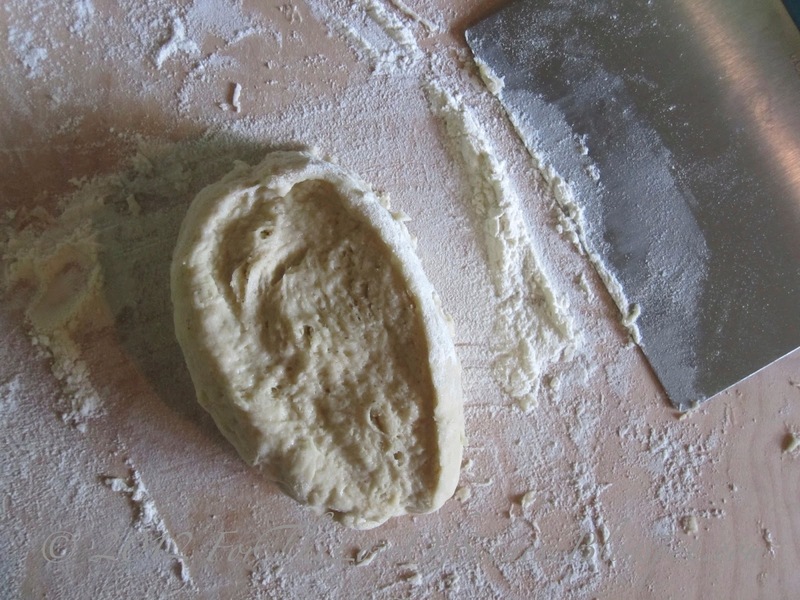 Turn the dough out onto a lightly floured surface and divide it into 4 pieces. 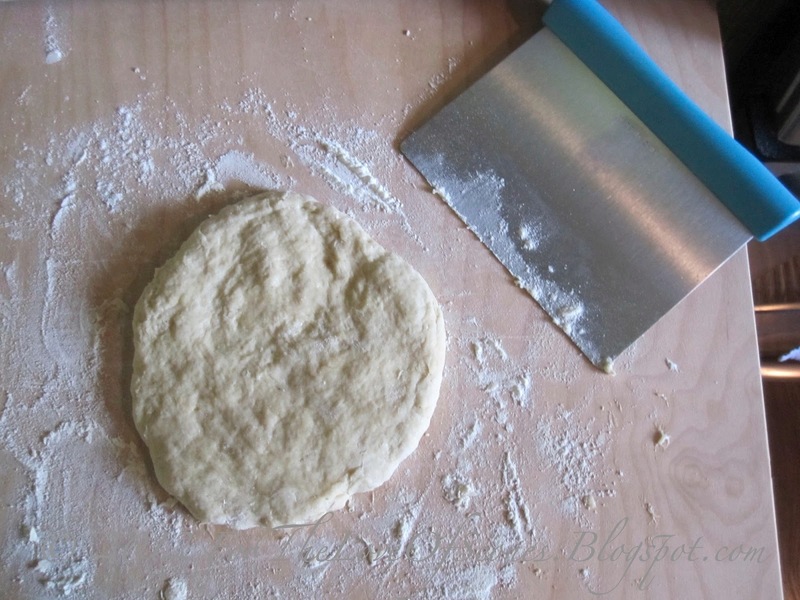 Pat or roll one piece of dough into a 1/2-inch thick round. 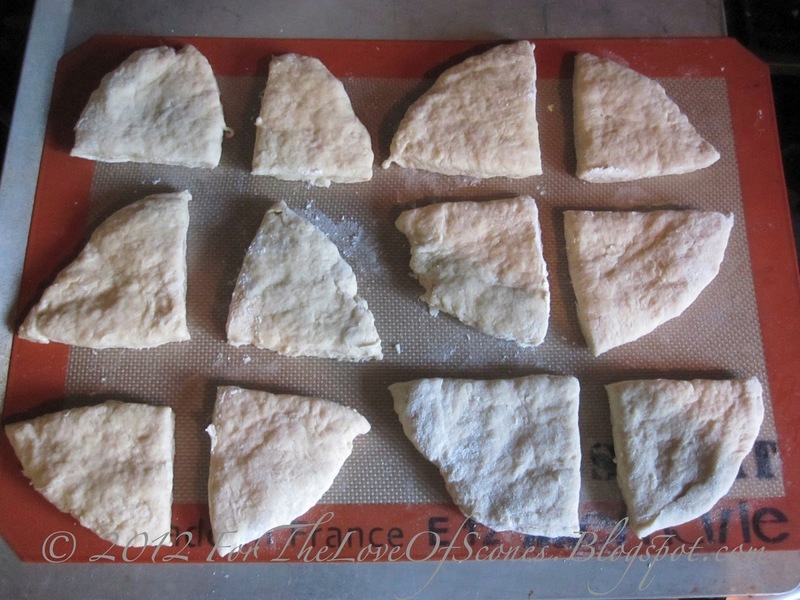 Cut it into 4 wedge-shaped pieces and place the scones on the prepared baking sheet about 1 inch apart. Repeat with remaining pieces of dough. Brush the tops of the scones with milk and sprinkle with coarse sugar, if desired. Bake until the scones just start to turn golden, 12 to 15 minutes. My spice mixture (I did not have Apple Pie Spice). 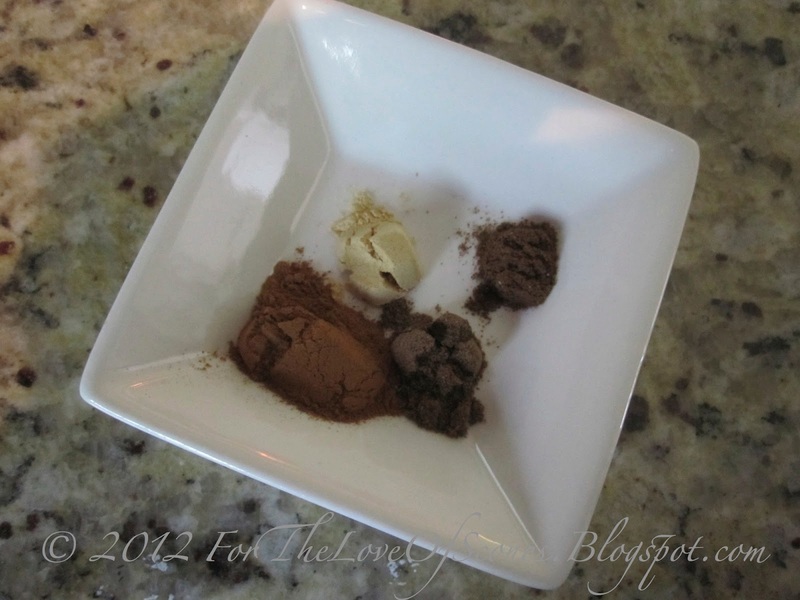 1/4 tsp each Ground Ginger, Nutmeg and Cloves, 1/2 tsp of Ground Cinnamon. My ingredients, ready to go. 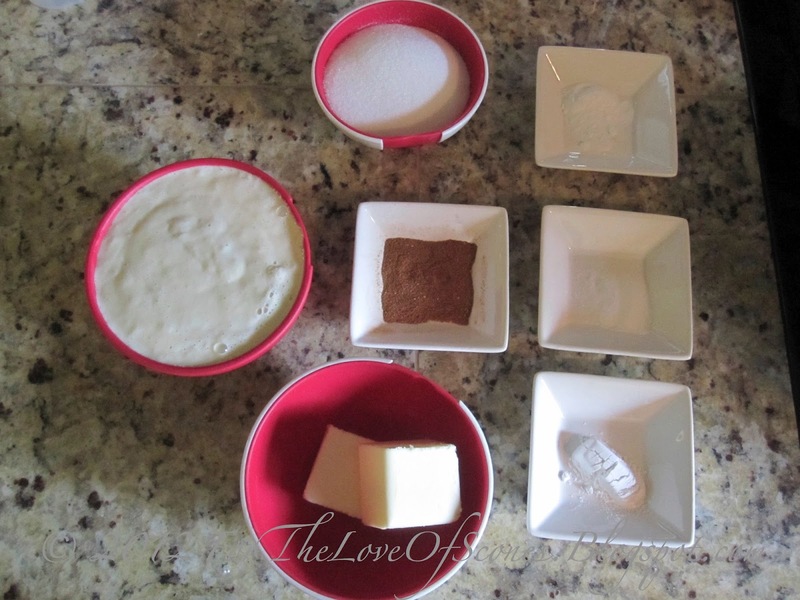 Dry ingredients and butter mixed. 1/4 of the dough that was made from this recipe. Flatten out 1/4 of the dough on a lightly floured counter. 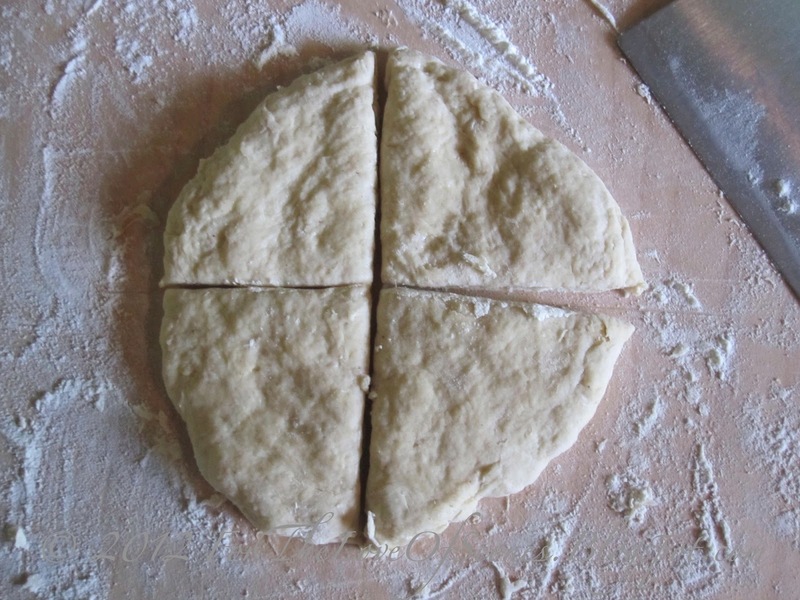 Cut the 1/4 of dough into fourths (total recipe makes 16 scones). Coming out of the oven, lightly browned. So I did not have apple pie spice. Instead, I concocted my own spice mix, something like a pumpkin pie spice, which turned out well. I mixed Ginger, Cinnamon, Nutmeg and Ground Cloves, approximately 1/4 tsp of Ginger, Nutmeg and Cloves, and 1/2 tsp of Cinnamon. I could have added a little bit more spice, but this amount gave a light spicy flavor that did not overpower the scones. 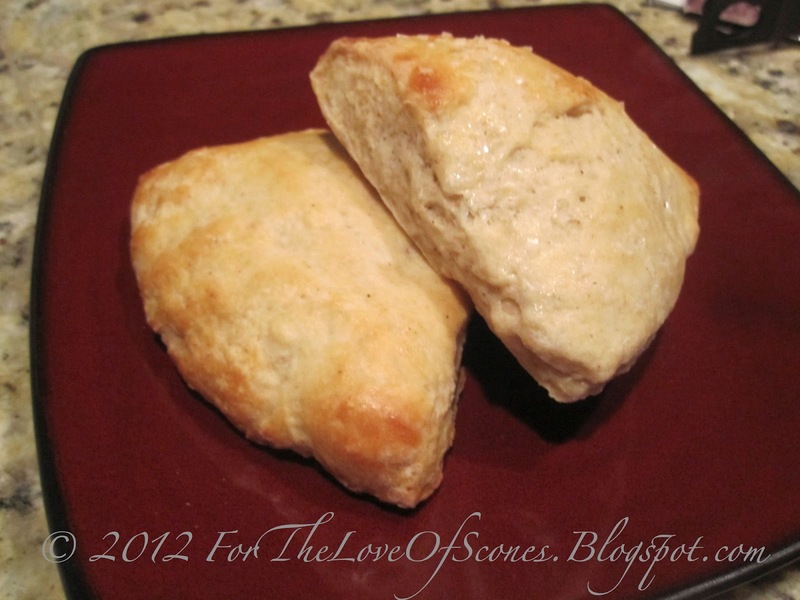 I would definitely make these scones again. They were lightly spicy and tasty as a standalone snack or with tea or coffee. I could see adding dried fruit or different spices in order to change things up, but if you have excess sourdough starter, this is a great recipe to use it on. Thanks for the sourdough scone recipe. Just tried it out. Perfect to follow into the warm oven after baking a sourdough loaf(saves electricity). Tastes fantastic. Hate wasting food, so much better to make these than wash surplus starter down the sink. Frugal Bloke, So glad they worked out for you! I agree, it does feel like such a waste to throw out your starter! 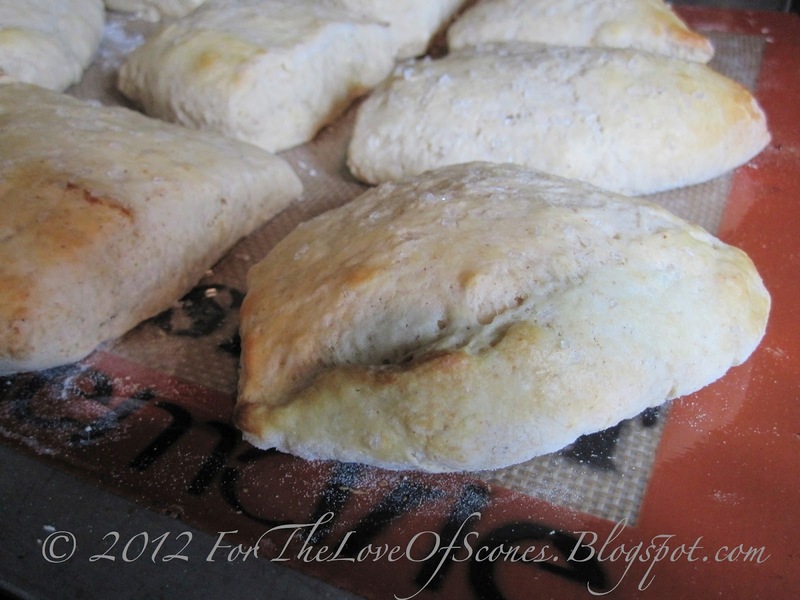 And what a great idea to bake in a warm oven after a loaf of sourdough bread, too! Yum!